The Nintendo Switch has already become the place to go for indie games, with the recent prominence of Nindie Showcases maintaining the attention of both players and developers. Furthermore, the announcement that YoYo Games' robust engine GameMaker Studio 2 has been licenced on the console in March was welcomed by all. 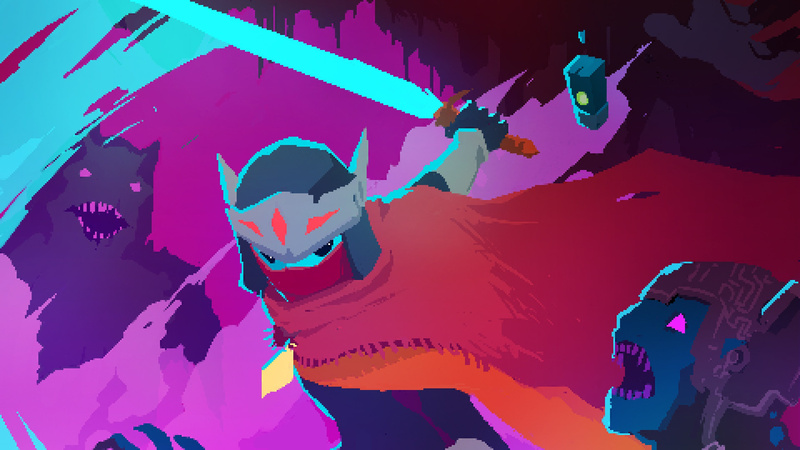 Fast forward to August, and the open beta is in full flow, along with the arrival of hit titles made with the software such as Hyper Light Drifter, Minit and Undertale. This influx of great games will no doubt continue, so we had a chat with James Cox, General Manager at YoYo Games about its inception to the development on the platform going forward. Nintendo Life: How and when did the GameMaker journey start for you? James Cox: I have been in game production and development all my career, but my GameMaker journey started when I joined YoYo Games. GameMaker Studio 2 has enabled me to make hobby games with my daughter, and we’ve had a lot of family fun. How did you bring everything together, from the initial idea to a full product? GameMaker was created as a learning tool in 1999 by Professor Mark Overmars, so it has been a case of continuous evolution over time. The original product has been completely re-designed over the years, and it is now under the technical care of game industry legends Russell Kay and Mike Dailly. When did negotiations start for the Game Maker Studio 2 license to come to Switch? We announced our work with Nintendo prior to GDC, in March this year. There was a lot of behind the scenes work with a small number of trusted developers, and with Nintendo earlier in 2017 to get us to that point. I think credit for the sowing of the first seed must have originated from our community of game developers who are so passionate about Nintendo Switch and GameMaker. How has your relationship with Nintendo been so far? Super. We have been in very regular contact all throughout this process and they’ve been very supportive. We feel our relationship has been very cooperative in nature. Have you had any feedback from them about the engine? It’s been a partnership with discussions throughout, rather than a big reveal moment, so yes we’ve had lots of feedback on hundreds of little things. That said, we were all delighted when we saw the first games pass the Nintendo lot check system. The engine is incredibly versatile and caters for multiple platforms. 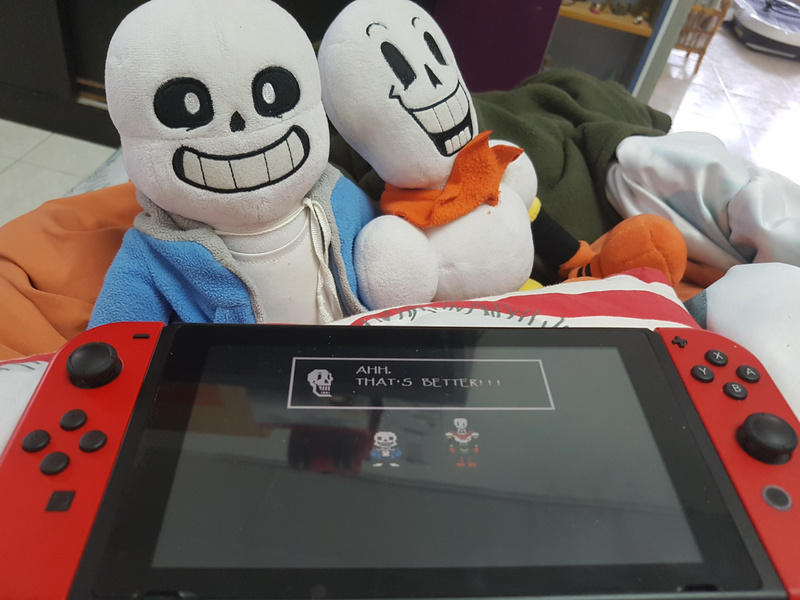 What were the challenges of making the engine fit across different systems, and specifically the Switch? The platform is flexible enough to adapt to any system. Games can already be exported to desktop, web, mobile, UWP and other consoles. The challenges are in understanding how the proprietary approaches taken by different platforms, particularly on console. Optimising for different hardware is probably the biggest challenge, but one that we continually relish and push ourselves to achieve with GameMaker, so that developers have less to worry about. What is the transfer process to the Switch like if someone already has an existing game running in GMS2? It’s very quick. We heard of people having their games running within a couple of hours of being approved. Have you made any tweaks or improvements to the software for the Switch license? Bringing on board another target platform always gives us the opportunity for more improvements. We have some interesting optimisations coming to all platforms, that were led by our development for Switch. What is the progression like from GMS1 to 2 and potentially going forward? We have import functionality, so most GMS1 games convert to GMS2 with no hitches. GMS2 is a whole new baseline. It contains a new IDE rebuilt from the ground up, with a much faster UX workflow. It’s designed with lots of room for inclusion of new features and more platforms in the future. How would future updates affect development on previous versions? Developers will need to choose whether they want to upgrade or stay where they are. They could update and then decide to roll-back if they don’t like the effect the updates have on their game. It’s only when it comes to changes in the Nintendo submission criteria that developers will have to update in order to submit their game. What are your expectations regarding the beta before the full launch? We have worked hard with 15 developers up until this point, so we have resolved all the core issues that developers will face. There’s no such thing as a standard game though, so with many more people taking part in the Open Beta, we will see a few new scenarios which we will need to work on. However, these are much less likely to affect many developers. How can developers give you feedback about their experience using the beta and the full Switch license? All feedback is being channelled through our helpdesk and is then prioritised for action. Is it possible to utilise any of the console's specific features? We have built-in support for HD Rumble, motion control, multi-touch and the IR motion camera. Amiibo support can be included at Nintendo’s discretion and we plan to have an extension mechanism that can be used by developers to extend or enhance direct support. There have been some incredibly successful games released using GMS2. How have the developers helped in improving the development experience? We have been working with some of our most successful games from the earliest “closed Alpha” stage. We understood that it was important for the export to support the most technically challenging games. Do you think the combination of GameMaker and Switch suits a particular style of game? Certainly a lot of indie games, and with GameMaker Studio 2 being a 2D platform, it lends itself really well to platform, adventure, puzzle and action games. We see these type of games a lot; however, developers continue to surprise us with other genres, too. Are there any features or tools you are thinking about or want to add in the future? Lots - we have a published roadmap on our website. Engines like GMS are heavily influenced by community support. How important is the Nintendo community going to be to the success of the platform and the quality of the games made using it? The Nintendo community is critical to the success of the GameMaker Nintendo Switch Export. If they love playing games made with GameMaker, then the GameMaker community will be even more eager to make them for the Nintendo Switch platform. Who knows, maybe some of the Nintendo community will be inspired to start making games of their own. What advice would you give to someone who wants to try GameMaker for the first time? Download the free trial, check out our “Make your first game” video tutorials, starting with Drag and Drop, then do it again with the GameMaker Language video tutorial, and then try to improve it and add your own touches. After that, there are also many fantastic tutorials that are available online from our community. Those will help you to make other types of games, expand your horizons, and have fun creating. You’re aiming for a full launch in September, is that right? That’s right. We want about a month of Open Beta to see what comes up. We would like to thank James for his time. Also it is waaaay too expensive for me at the moment. The cheapest license is 800$ for 12 months. This is pretty exciting, really. I'm a big fan of relatively simple tools (inb4 "'cause they remind you of yourself," and similarly formatted, but equally hilarious jokes) that can be pushed to their limits to do really cool stuff. If we get lucky, they negotiate a deal with Nintendo to include a license in the software that comes with the Switch development kits. @Zuljaras i develop little games as a hobby and have wondered about the process of publishing for a while. is that 800 dollars for a license to publish on switch for 12 months? Anyone knows NSwitch devkit is required for building games created in GMS? Or just GMS Switch license is enought? "To become an authorized Nintendo Switch developer, please sign up at https://developer.nintendo.com. The next step, is to contact the Nintendo Regional offices at [email protected] if you are based in Europe and [email protected] if you are based in the USA or elsewhere, to pitch your project and seek authorization to become a Nintendo Switch developer. Once you have been approved as a developer, you should register your request to take part in the Open Beta via Nintendo’s GameMaker middleware web page. Please note, you will be required to sign-in to your Nintendo Developer account to access this page. 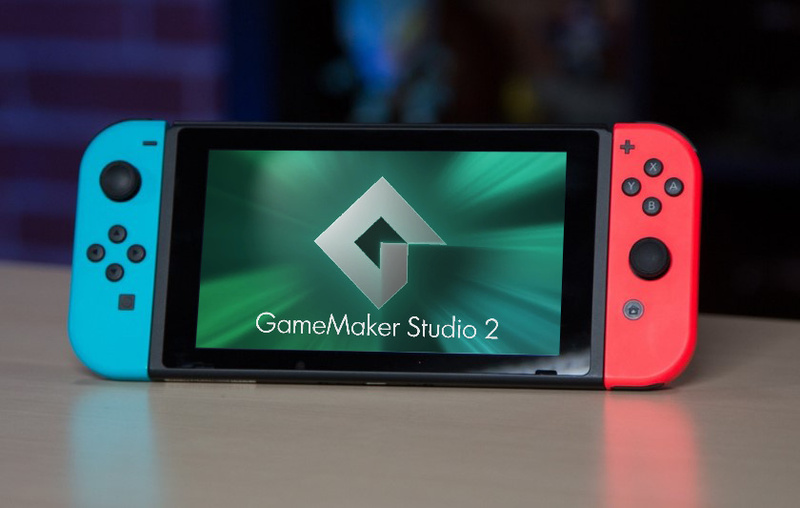 Lastly, to participate in the Nintendo Switch Open Beta for GameMaker Studio 2, you will also require either a Nintendo Switch licence ($799/ 12 months) or a GameMaker Studio 2 Ultimate licence ($1,500 / 12 months), which provides access to all of our export options. Once approved, these will be available to purchase on your YoYo Games account." As you can see it is hard and long process. I'll stick with Godot. It's better and it's free and open source. That's alot of money. I mean, I get it. That's just something I can't afford right now. We'll have to see how Pre-Order Peril: Sean's Lament shapes up next year. I'm optimistic. The kit for Wii U included a good bunch of software environments from third parties. And Nintendo is clearly happy about receiving some of the big GameMaker games. I'm both glad and bummed out about the entry fee. I mean, from the perspective of a small indie developper team of one or two persons, it may kill a dream to have a game on the Switch, as the cost of entry is relatively high. Some people not having the budget still might be able to create an absolutely great game. But from a consumer's perspective, this means it can also act as a way to filter out some cheap cr4p,. For every good game coming out of these game making suites, there are about 30 or more that are bad, unpolished, buggy, and/or just plain uninteresting. @MelkYI You need both the license and the devkit. 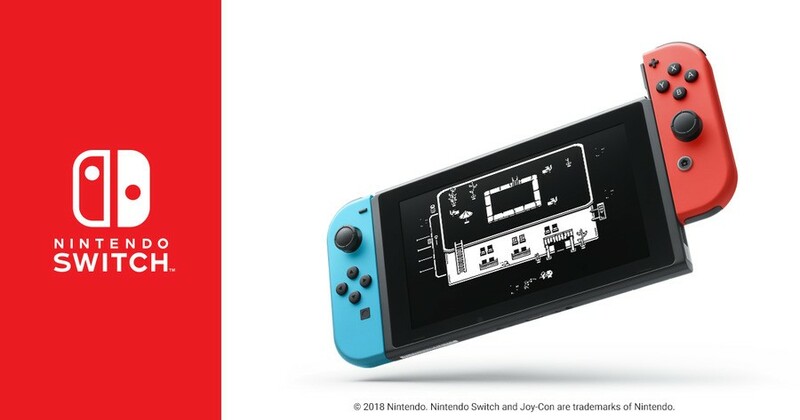 Very excited for this news and to those put off by the price remember you will also need to purchase a physical developer kit from Nintendo. Traditional development kits are more expensive than this fee. @ThanosReXXX I only play real games. @leuvsion I see what you did there. Wanted to say "triple A", but seeing as most people refer to those as real games in comparison with indies, I opted for that instead. 800 $ is nothing, if you really have made a great game, that people would like to buy. You can develop it, and release it for PC/steam/iOS/Android first. If the game is any good, then you can easily invest 800 $ in the Switch license (or PS4), and release it there. 800 $ is nothing compared to what you can earn on these platforms if your game is good. And as you said. This little license fee prevents the e-shop to be flooded with all kind of crap. It's both useful for consumers, and for the real good developer's who makes great games. As a developer myself, I confirm that 800$ is peanuts for the licence. That's great to know that more devs will have the chance to port their games on Switch. I wanted to write "that's good news!" but then I remembered that it's a very limited tool which only encourages some of the more lazy indies to make even more crappy games. So I kinda wish GMS2 hadn't become compatible to Switch... but I guess that was to be expected with the tons of crapware on the Switch setting the tone. I just don't get it, why not use Unity or Unreal Engine instead and make proper games? I don't understand why some people are freaking out. It actually costs MORE to maintain a GMS license than Unity or Unreal. If anything, Unity is way more accessible to shovelware with the amount of pre-packaged assets on the Unity store to create asset flips, like Hammer 2 and UnitZ. To me, a plan would be to start out with a cheap license. Develop your game and publish it to PC/MAC. Take the profits to then get a license for Nintendo. It's a gamble but it may be worth it. I'm guessing that's how some phone games ended up on switch. @MegaMari0 If the game is successful on PC if the port is good it will be on the Switch also. I bought Game maker Studio 1.4 for 12$! Then when the time came and they gave discount for upgrading I bought Game Maker Studio 2 for 60$. It is pretty cheap when you think about it. This is for Windows.